On Wednesday night, I had a grand old time watching the CMA Awards, inexplicable Ariana Grande appearance and all. 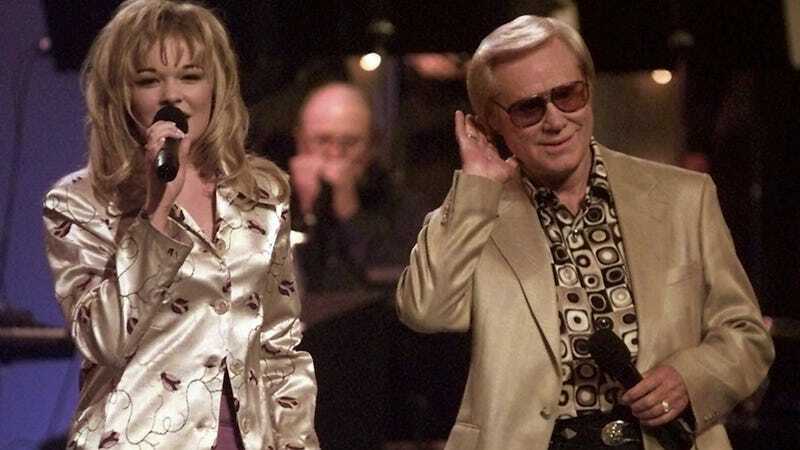 But around the time Loretta Lynn showed up wearing ten tons of sequins and they ran that supercut of classic Vince Gill moments, I began to long for the fabulous country music fashions of the 1990s. You see, I spent a fair amount of my childhood watching old-school CMT, thereby developing a lifelong appreciation for big hair, oversized jackets and flashy metallic embroidery. Award shows, of course, showed these stylings off to perfection. And so here is an visual ode to the country couture of the 1990s, back when the women still wore shoulder pads and the men wore cowboy hats that didn't look like they'd been shut in a door. Remember the year essentially all clothing was available in these colors and these colors only? Good times, good times. I'd pay good money to see Carrie Underwood rocking that hairdo. All CMA photos via AP; ACM photos via Getty.